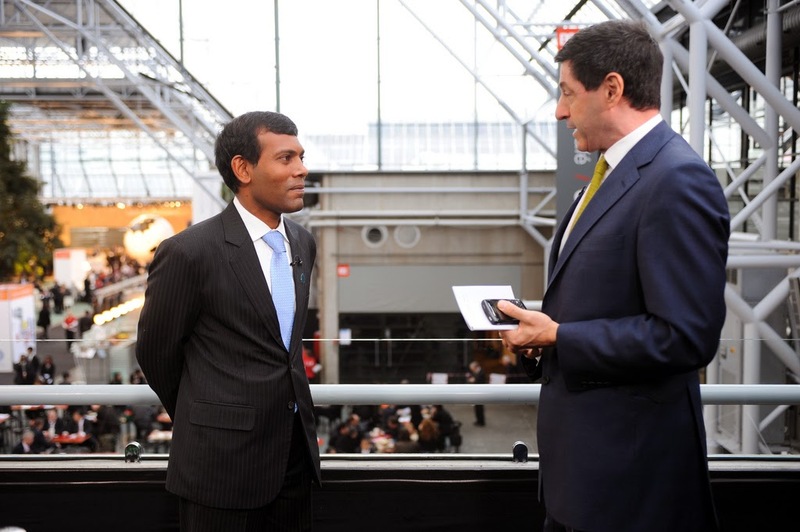 The then President of the Maldives Mohamed Nasheed interviewed by the BBC during the Cop 19 climate summit in Copenhagen, 2009. Photo credit: Presidency Maldives via Flickr. As the Intergovernmental Panel on Climate Change unveiled their latest report on the science of climate change dealing with climate impacts, it was largely silent on mainstream media. It should first be clarified that when the report was unveiled at Yokohama, Japan the time was 01:00 local UK time. As the IPCC were delivering the report, the BBC’s 24 hours news channel decided to replay old footage of the lost Malaysian airline, which has seen relentless news coverage day on day without anything new to report. One could think that this is all that is going on in the world. Not a single mention was given to the most comprehensive report on climate change ever to have been produced was unveiled. The following day it seemed like the BBC had woken up, and in kudos to them they ran the story as their main story throughout the day. 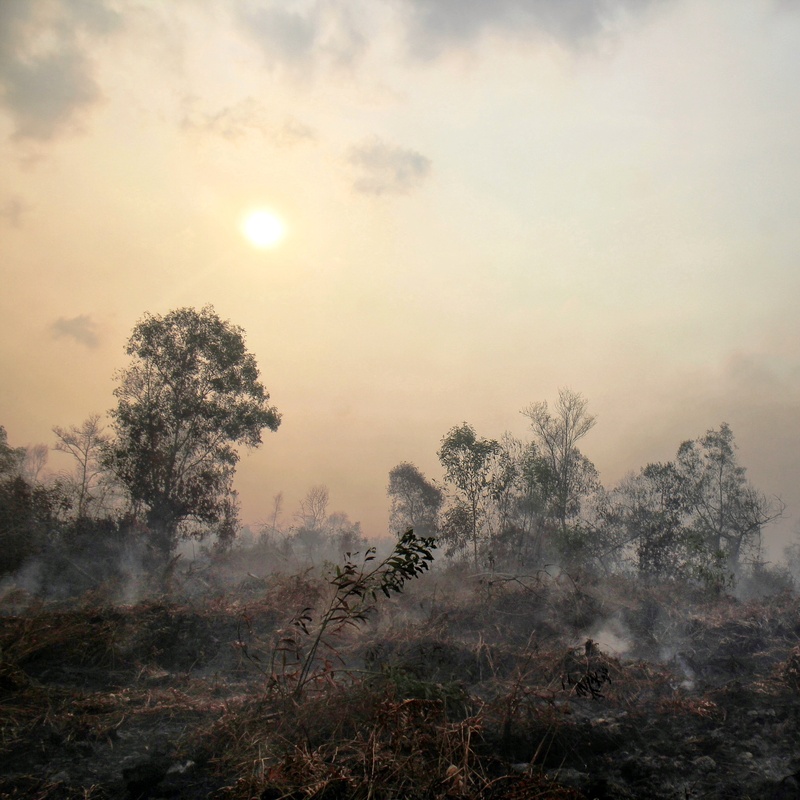 However, even though they did report the severe risks posed to security and food as outlined in the report, they could not help but turn it into a debate on climate change. Throughout the day they focused heavily on one scientist, Richard Tol, who had removed his name from the report, as he said it was too alarming and he did not think that climate change would be an altogether bad thing. However they failed to report that the Mr Tol had flirted with climate denialism and has links to Lord Lawson’s climate skeptic think tank the Global Warming Policy Foundation. Hop across a few channels over to Channel 4, the reporting wasn’t much better. In their 7 PM bulletin they had also decided to debate the issue on climate change instead of reporting on the report, they gave airtime to Danish skeptic Bjorn Lomborg who could tell is we should not worry about climate change and that it is too expensive to fix anyway. Across the Atlantic they were also at it, Think Progress reported that the report was largely ignored by CNN, who only spend 1 minute and 8 seconds on it, it was mocked by climate skeptic Fox News who used 5 minutes attacking climate science and finally it was covered extensively by MSNBC. At a time when we have a scientific consensus on climate change, 97% of the worlds scientist who study climate change are convinced it’s a reality, is it really newsworthy and in the public interest to debate the reality of climate change on the same day that profound findings were documented as to what we can expect from the impact of climate change? The day after the report were released it was back to business as usual on BBC as no mention to climate change were mentioned. As the report stated climate change is here now, and nobody on the planet is and will be safe from it. BBC, Channel 4, CNN and any mainstream news organisation out there anywhere in the world, ought to not only reflect on climate change when there is a big climate summit or when a new large report is released, but it most focus on it on a daily basis. They must report how millions of people are affected by climate change and on the amazing solutions that now to fix it. They should also take the editorial stance, that the debate is over, we have a scientific consensus and that must be reflected in their news reporting. ← Offshore wind turbines: hurricane tamers?